But a brutal, serial killing doctor (a human) who is working for an even more brutal, serial killing Jack, Revenant who enjoys cutting human women up and messing with their organs. Which is what happens to Bethany who we thought died last episode but has been kept around for one more episode before being disposed (and ye gods that was horrendous to see). Wynonna is tough as a boiled owl (Doc’s words) and not one to be imprisoned often or to believe the lies of the “doctor” (yes it’s the fun pathologist from last episode) trying to convince her that she has been paralysed (and shows her extreme toughness by not reacting even when he tries to cut off her toe). 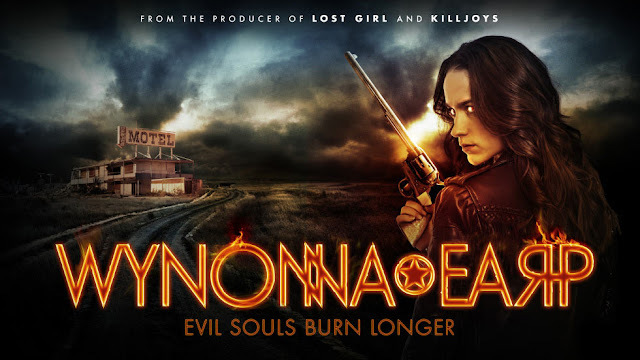 Toughness we expect from Wynonna, intelligence, cunning and restraint not so much, it’s nice to see that. We do have that eternal trope “you kill the 7, your primary mission, what will you do now!” but don’t harp on about it too much because, let’s face it, there’s still a lot of revenants out there. I’ve never been a fan of the whole “you complete your life’s purpose and now you have nothing to live for” trope – because people achieve goals even major goals all the time. You then find another goal!